The challenger bank landscape is beginning to shake out as each bank finds its market position. All are in heavy development and acquisition mode, fueled by hundreds of millions of dollars of fundraising. Many of banks above use third parties to power what is now a commodity product – international payments (either branded using TransferWise or white-labelled using Currencycloud). 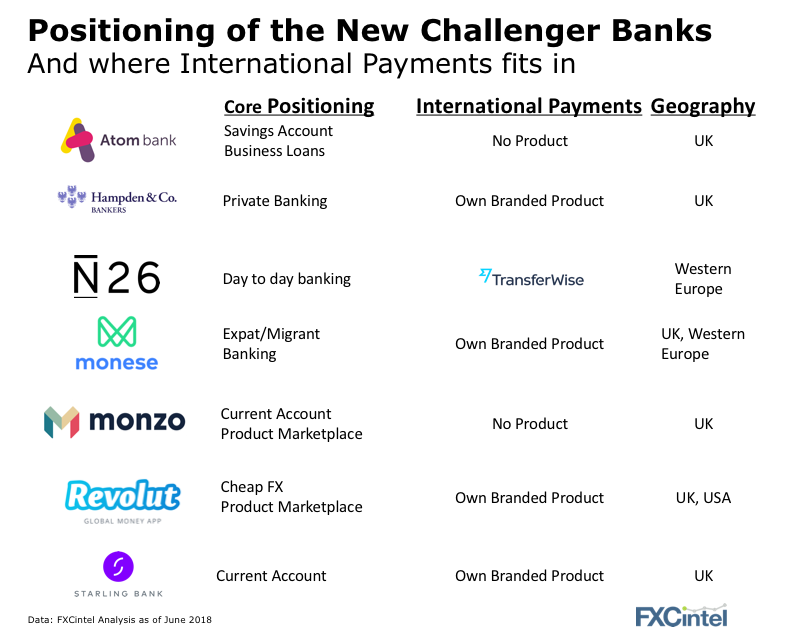 Whilst many of the most nimble international payment companies have found it easy to out-compete the mainstream banks with their expensive, sometimes cumbersome products, the digital-first challenger banks present a totally different competitive set. Whereas companies like TransferWise have a fantastic user experience compared to the big banks, the difference falls away compared to the mobile first challenger banks. What many of the challenger banks have, including Starling, for example, is the current account – the home of the day-to-day banking needs of the everyday customer. The frequency of usage of a current account far outweighs that of international payments. We’ve seen many payment companies add multi-currency accounts to their offerings and E-money licensing provides for the right to hold funds, but these products are a far cry from the complexity of every-day banking. With widespread customer offerings and excellent user experiences, the digital challenger banks may have now emerged as the strongest competitors to mainstream payment companies.